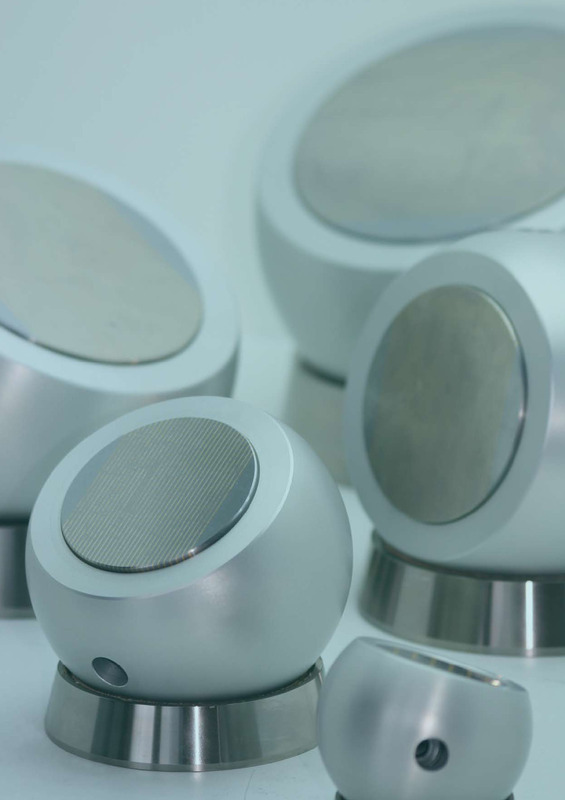 ERGO-BALL ERGO BALL Magnetic clamping balls of top quality are used to fix parts in optimum working position for laser welding, polishing and assembling. Depending on the workpiece geometry and weight swivel angle can be set up to 90 °. The strong magnetic chuck RN is activated via the T-Hex key included in the delivery. With a rotation of 120 ° of the key the magnetic chuck is fully activated, for positioning of the workpiece, a partial activation is also possible. 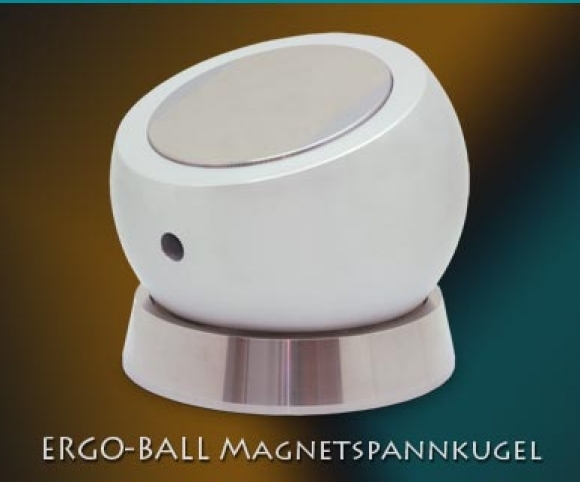 The quality ERGO BALL consists of a clear anodized aluminum ball, in which a fine pole magnetic chuck RN is installed. The ball is located in a leather-lined, chemically nickel-plated steel ring. 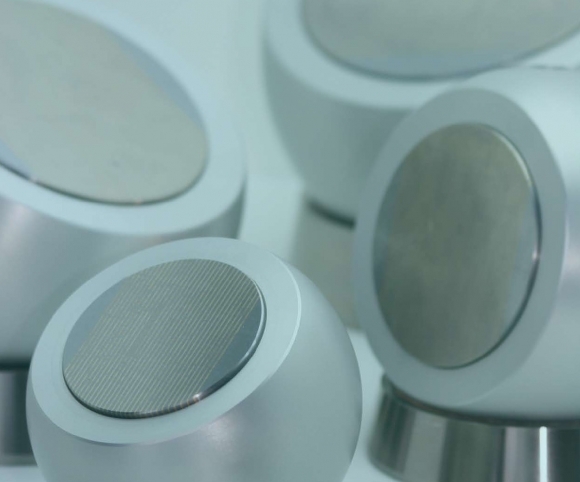 The ERGO BALL is available in 5 sizes from Ø50mm – Ø160mm circular magnetic chuck – Quality Made in Germany for ergonomic, high-quality work.